A new client comes into your office. He is an Illinois resident who was arrested for DUI while vacationing in your state. In addition to questions about what is likely to happen as a result of the prosecution in your state, he also asks whether his Illinois driver’s license will be affected. This purpose of this article is to provide you with some ready answers to the questions you likely will field. For starters, a conviction for DUI in any state will result in the automatic revocation of an Illinois driver’s license. 1 In addition, the refusal to submit to chemical testing, (breath, blood and/or urine) after an arrest for DUI will result in the suspension of an Illinois driver’s license. 2 These items will be discussed separately. The Illinois Secretary of State will automatically revoke the driver’s license of a resident upon receipt of a report of any conviction for DUI or a similar offense where the cause of action is the same or substantially similar to the offense of DUI as defined in the Illinois Motor Vehicle Code. 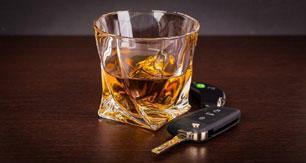 3Some State’s have statutory schemes that provide for different impairment levels of DUI. A reduction or amendment of the pending charges to a lower impairment level will still result in a revocation in Illinois as Illinois does not have any graduated scheme. Therefore, to avoid a license revocation, any amendment or reduction must be to an offense that will be recognized separately (i.e. Reckless Driving) under the Illinois Motor Vehicle Code. Assuming that the case will result in a conviction, it usually takes several weeks for the report of the conviction to reach the Illinois Secretary of State. However, upon receipt, the Secretary of State immediately serves a Notice of Revocation upon the affected driver by mailing same to the address listed with the Secretary of State’s office. 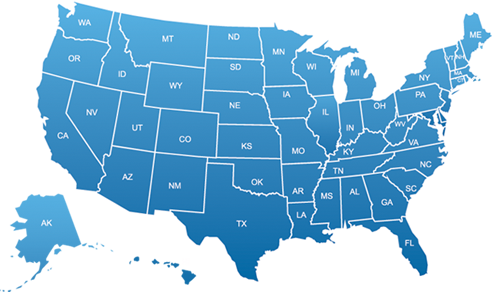 4The revocation’s effective date is normally within a few days of mailing. On this note, you should ask the client whether they still live at the address listed on their Illinois driver’s license. If not, they should be advised to change their address directly with the Secretary of State’s Drivers Services Department forthwith as official notices from the Secretary are not forwarded and the failure of the driver to actually receive the notice does not affect the validity or effective date of the revocation. In Illinois, license revocations are for a minimum of 1 year if the driver has never been previously convicted of DUI. 5 Two DUI convictions within a 20 year period will result in a minimum revocation of 5 years, 6 and three convictions within twenty years results in a minimum revocation of 10 years. 7 A fourth conviction for DUI renders the driver permanently ineligible from applying for an unrestricted license in Illinois. 8 It is the policy of the Secretary of State’s office not to fully reinstate an otherwise eligible driver until they have first been issued a Restricted Driving Permit (RDP) and drove on it without incident for at least 9 months. Level 1/Minimal Risk - Completion of an Alcohol/Drug Risk Education course (usually 10 hours). Note-Level 1 can only be recommended for petitioners who, at a minimum: a) have no prior DUI dispositions or suspensions; b) submitted to chemical testing with a resulting blood alcohol level of less than .15; and c) were not diagnosed with any other recognized symptoms of substance abuse or dependence. Level 2M/Moderate Risk - Completion of an Alcohol/Drug Risk Education course (usually 10 hours) and an Early Intervention Counseling Program (Minimum of 12 hours). Note-Level 2M can only be recommended for petitioners who, at a minimum: a) have no prior DUI dispositions or suspensions; b) submitted to chemical testing with a resulting blood alcohol level of .15 to .19; and c) were not diagnosed with any other recognized symptoms of substance abuse or dependence. Level 2S/Significant Risk - Completion of an Alcohol/Drug Risk Education course (usually 10 hours), Substance Abuse Treatment, (Minimum of 20 hours) and enrollment in and at least partial completion of Aftercare a/k/a Continuing Care (usually 2-3 hours a month for 6 consecutive months). Note-Level 2S will, at a minimum, be recommended for petitioners who: a) have at least 1 prior DUI disposition or suspension; and/or b) submitted to chemical testing with a resulting blood alcohol level of at least .20; and/or c) were diagnosed with other recognized symptoms of substance abuse. Level 3 High Risk/Dependent - Completion of a minimum of 75 hours of substance abuse treatment and enrollment in and at least partial completion of Aftercare a/k/a Continuing Care (usually 2-3 hours a month for 6 consecutive months). In addition, at the hearing the Petitioner will have to submit proof of establishment of an ongoing support/recovery program (i.e. regular attendance at AA meetings for at least 6 months and having obtained an AA sponsor). Petitioner will also have to document at least 12 consecutive months of abstinence from alcohol and drugs. Level 3 High Risk/Non-Dependent - Completion of a minimum of 75 hours of substance abuse treatment and enrollment in and at least partial completion of Aftercare a/k/a Continuing Care (usually 2-3 hours a month for 6 consecutive months). In addition, at the hearing the Petitioner will have to submit proof of at least 12 consecutive months of non-problematic use of alcohol (or abstinence if it had been recommended by an evaluator or treatment service provider) as well as abstinence from drugs. In addition to the foregoing requirements, many petitioners will also be required to have a Breath Alcohol Ignition Interlock Device (BAIID) installed on their car as a further condition of the issuance of an RDP. Simply stated, a BAIID is a breathalyzer wired into the ignition system of an automobile. Before a BAIID-equipped car can be started, the driver must provide a breath sample into the device. If the sample registers above the alcohol setpoint (currently 0.025 breath alcohol concentration 28), the car is rendered incapable of starting, or "locked out". Petitioners who meet any of the following criteria are designated "BAIID Eligible Petitioners," must have formal hearings and must have a BAIID device installed within 14 days of the issuance of any RDP. b) Any of the DUI dispositions involved a breath or blood concentration of 0.20 or more.